We are working to add further information about each program to this page. Please check back, click on the link to the right or call our office for assistance. Thank you! Amendment to the constitution to: protect drinking water sources; - protect, enhance, and restore wetlands, prairies, forests, and fish, game, and wildlife habitat; - preserve arts and cultural heritage; - support parks and trails; - and protect, enhance, and restore lakes, rivers, streams, and groundwater. The Amendment increases the sales and use tax rate by three-eighths of one percent on taxable sales, starting July 1, 2009, continuing through 2034. Those dollars are dedicated to four funds: Outdoor Heritage Fund, Clean Water Fund, Parks and Trails Fund, and Arts and Cultural Heritage Fund. Click on the logo for more information. GIS allows us to view, understand, question, interpret, and visualize data in many ways that reveal relationships, patterns, and trends in the form of maps, globes, reports, and charts. A GIS helps you answer questions and solve problems by looking at your data in a way that is quickly understood and easily shared. 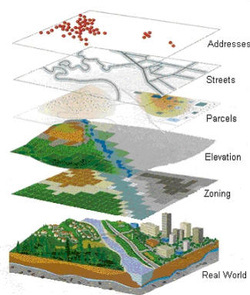 To learn more about GIS click h﻿ere. To view Rock Count﻿y GIS click here. Minnesota's regulatory feedlot program is conducted through a cooperative arrangement between the Minnesota Pollution Control Agency (MPCA) and County Government. This cooperative program is known as "county delegation" or the "county feedlot program." A county feedlot program is established by the transfer of regulatory authority from the MPCA to the county. County feedlot programs have responsibility for implementing state feedlot regulations including registration, permitting, inspections, education and assistance and complaint follow up. raise nitrate levels in groundwater which is a special risk to infants. The state of MN and Rock County do not require a septic inspection upon the sale of property. ﻿﻿﻿The Rock SWCD along with the Minnesota Department of Agriculture work to provide loans for agricultural projects that reduce existing water quality problems caused by agricultural activities or failing septic systems and helps landowners comply with water related laws and rules. This loan program offers loans at 3% interest in which the landowner works with local banks. The first step to acquiring this loan is to contact the Land Management Office to have funds allocated at 3% interest. Contact the Land Management Office for further information at 283-8862 Ext. 4. State Cost Share funds are available to assist landowners with the cost of sealing unused wells. Funds are available for up to 50% of the cost or $300 whichever is less. Wells must be sealed by a licensed well sealer. Call our office to have your name put on the cost share list and bring us a copy of your paid bill to be reimbursed. It's that simple! The SWCD provides a grass drill for rent for producers to use in seeding various projects such as CRP acres, streambank stabilization, CREP acres, grass waterways and more. Click here for rental agreement and rates. The Rock SWCD works with the Minnesota Department of Agriculture to provide 3% interest financing to farmers, rural landowners and agriculture supply businesses to encourage agricultural best management practices that prevent or reduce runoff from feedlots, farm fields and other pollution problems identified by the county in local water plans. This program provides loans for projects that reduce existing water quality problems caused by agricultural activities or failing septic systems and helps landowners comply with water related laws and rules.